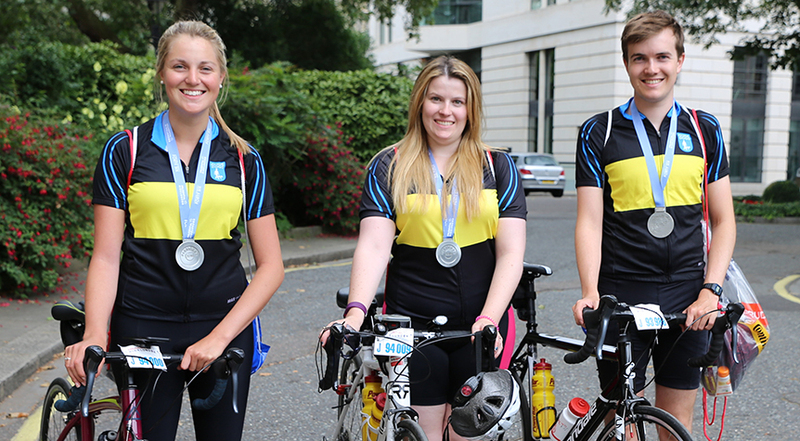 Join #TeamGuideDogs at the Prudential RideLondon-Surrey 100! Take on the UK’s biggest cycling event by cycling 100 miles through the streets of London. This route covers some of the capitals most iconic sights, before heading out to take on the iconic Surrey hills. This is a fantastic challenge for cyclists who are able to finish the route in less than 9 hours. Thank you for your interest in cycling the Prudential Ride London-Surrey 100 for Guide Dogs! Every hour, another person in the UK goes blind - we work for a world with enough support to make the challenges of sight loss no barrier to fulfilling hopes and dreams. To apply for one of our places in Prudential Ride London-Surrey 100 please click the 'Register Now' button on this page and choose 'I would like Guide Dogs to Organise a Place for me'. A super-charged fundraising pack complete with a Guide Dogs cycling top. An exclusive invitation to visit your nearest Guide Dogs Training School for one of our open days – with the chance to meet our pups in training. A bespoke training plan & dedicated support from our Events Team in the lead up to race day. If you have already secured your own space we would love you to join our team – simply click the 'Register Now' button and sign up as 'own place' to enjoy all the same benefits.